It was an honest comment, but a slightly different version of it ran through my head for the next three days: We hardly see you anymore since you became a pastor. I became a pastor a year ago and my neighbor’s comment got me wondering if I might have been a better pastor before I became a pastor. Was I more present as a minister among my neighbors and in my neighborhood before I became a paid minister in a church? Jesus said that all of scripture hangs on this: Love God with everything in you and love your neighbor. But what Jesus stated simply, we’ve complicated (and ignored). When we’re faced with an impossible task, we usually get overwhelmed and do nothing, or very little. 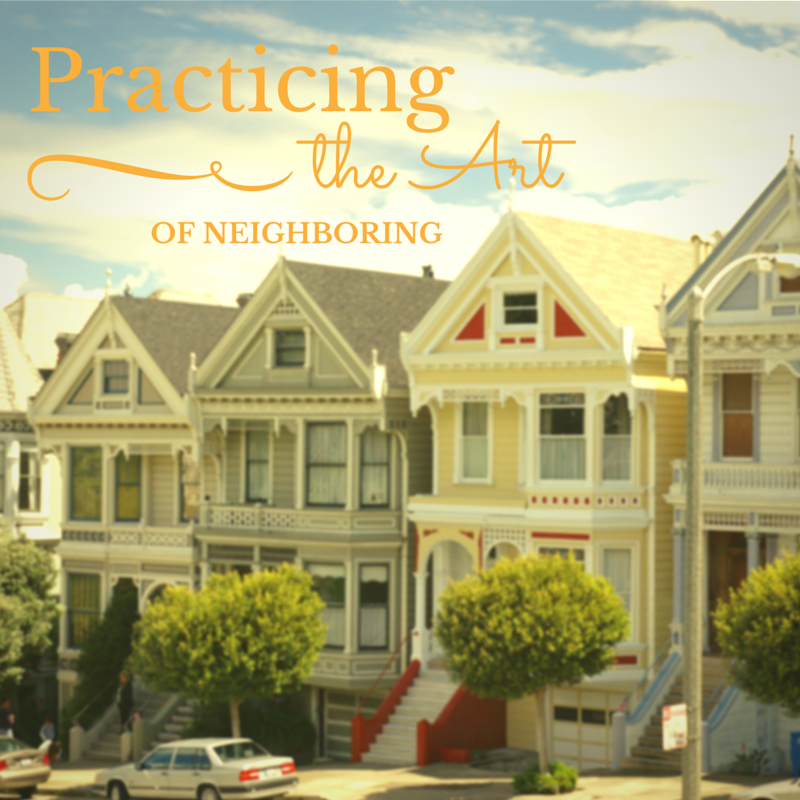 How can we love our neighbors if we don’t know them? So the mayor started talking about the various problems that most cities face. He spoke of child hunger, drug and alcohol abuse, dilapidated housing, elderly shut-ins who have no one to look in on them, and the list went on and on. When the meeting ended, the pastors felt stunned and embarrassed. Here they were asking their mayor how they could best serve the city, and he basically said it would be great if they could get their churches to obey the second half of The Great Commandment—if they could inspire followers of Jesus to do what Jesus said. Four out of the nine lines in this prayer have to do with God’s kingdom. Jesus talked about the kingdom of God more than anything else and taught his disciples to pray for his kingdom to come. I think it’s safe to say that Christ wants his kingdom to be a high priority to us—something that we spend time thinking about, praying about, and talking about. I’d like to challenge us to start a new habit. We’re most likely to successfully create a new habit when we attach it to an existing habit, so here it is: I challenge you to say The Lord’s Prayer every time you brush your teeth. I also challenge you to localize it. That’s the simple challenge. Say The Lord’s Prayer every time you brush your teeth, and apply it specifically to your city and street. Since most of us brush our teeth in the morning and at night, the flourishing of God’s kingdom will become one of the first things we think about as we start each day and one of the last things we ponder as we end each day. Try it and see what kingdom fruit may come of it. I’d love to republish this. Is it ok? Mark, thank you. Yes, you have my permission to republish it. Please send me a link to it when you publish it. Marta! I love this post! Awesome and so true! And what you mention that the Denver mayor said: “The majority of the issues that our community is facing would be eliminated or drastically reduced if we could just figure out a way to become a community of great neighbors.” Wow. I wrote a piece that I titled “Right here, right now,” about being present in our own communities, noting a similar message. http://www.corneliaseigneur.com/a-place-to-start-right-here-right-now/ Our neighbors, being there for them. Being present in our own communities. Great job on this, and great reminder. Great to hear from you Cornelia. I look forward to reading your article!